Collaborate, share, promote, and sell your products, and services. Note: Month-to-Month subscriptions may be cancelled at anytime. Advertising Pro, Expert Pro, and Product Pro available for 6-month (15% discount) and 12-month (25% discount) subscriptions. Full payment due at time of subscription. Service available for the subscription term regardless of cancellation or termination date. 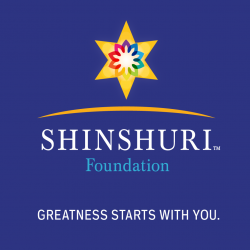 Advertise your company or brand to members of the SHINSHURI Leadership Community. Note: If you need a custom designed banner, you may purchase a custom banner in the online shop and we will design one for you. Buyer must provide brand, product, program, service marks, and professional images to support advertisement design. After purchase of Affiliate subscription options upload media files to support banner rotations. Note: All affiliate subscribers must submit media files they intend to use for their advertisement promotions. Use the Banner Ad Sizing Requirements to design the banner advertisement and submit the banner along with your order. Need a banner advertisement custom made? Purchase a Custom Banner Design to support your ad. Short description of Company Type, Area of Expertise, Product or Services provided. Please provide a short description of the type of Company, Area of Expertise, Product or Service that you provide. Other information about you or your company.